The Southern California fires are out of control! We are in need of Emergency Donations to help rescue and save precious lives. The shelters are overfilled and need room to make space for the strays and victims of the high winds and fires. 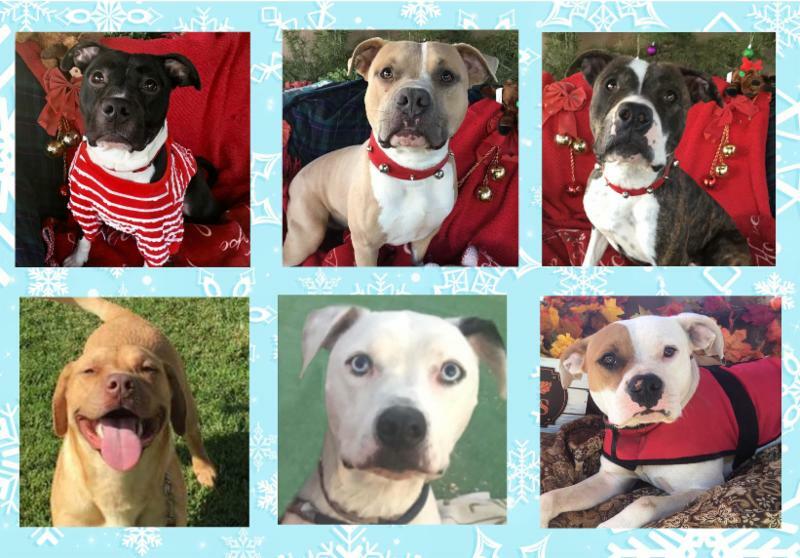 We have already pulled 11 shelter dogs so far and need your help! To make a much needed donation, please click the Donate button below. Nothing is too small or too large. Please help! This year has gone by so quickly. There was so much hope and promise and then suddenly so many shocking events happened that changed thousands of people's lives without warning. We all stand together as loving people that want the world to be a better, kinder place and yet it has been a rocky road and challenged all of us in so many different ways. The one thing we all hold in common is love for animals and trying to make a difference. The challenge becomes more difficult every year. I haven't given up faith. I can't. I need your support to help me to help the animals through these troubled times. Our financial situation has been challenging all year long no matter how hard I work and reach out. I do this job 24/7. I take nothing for myself but I shepherd the animals every step of the way from morning till night. In lieu of holiday cards this year we are doing emails and using electronic media to reach out to those we love and set a path for the future. We all know spay and neuter is a necessity, due to the crisis of pet overpopulation in our country. Maybe now with all the storms that have changed the course of these animals' and humans' lives, the government will start to understand and we can make headway in 2018. My heart has not stopped thinking about Houston. We have actually saved several animals through friends of ours that live down in Houston. These were pets that once had a home and found themselves as strays out on the street, lost and asking for compassion, food and would love a new home. The environmental impact the storm had caused many skin conditions down there and we've tried to reach out and help those to help the animals that are fighting new issues due to toxins in their bodies from the storms. Florida, Puerto Rico, I don't even know how they could've been left in such a tragic way when they are our brothers and sisters. I think of them every day. Being in the middle of the fires and California burning is both devastating and shocking, and knowing the thousands of humans and animals that are now homeless is heartbreaking. Caring, loving, compassionate people are losing everything they've ever known in their lives. The animals depend on humans to find them safety and that is our job to help the homeless pets that have lost their families and need rescues to help them find a new loving, forever, home. We rescue from shelters every week. We are not sure people realize the hard work we do. We give veterinarian care, training and mend they're broken hearts. We put them back together and find loving people to adopt them and give them everything they deserve! We currently have 11 already rescued and at the veterinarian for spay, neuter and medical care! We are working with the shelters during these tragedies to figure out how to relieve their stress so they can help the strays coming in from the fires. Then the rescuers must step in again. It's time consuming, expensive and exhausting! Please help me to help them! That's all I can ask from the bottom of my heart! The tragedies are all over the news and for those that don't look at the pets in the shelters it is simply heartbreaking every single day. Their lives are on the line for no reason other than bad humans and the loss of their homes. We've uncovered a lot truths with the backyard breeders being allowed to take their pets back from shelters, to continue to breed them again, without even being slapped on the wrist. We have confirmation of breeders abandoning their dogs to the streets, to fend for themselves, after they've bred them over and over. All of this will be brought to light in 2018. Please, please, please donate today and help me to help them. I must ask for financial aid during this crisis in California. I'm asking from the bottom my heart! Also, don't forget all the hard work we do for cancer prevention - it is working! Help support me in this hard and expensive work that is proving to give people more time when their pets may be diagnosed with this tragic life-threatening illness. With Love and Prayers of safety for your family and your pets! Get a unique, personalized ornament gift for the dog/cat/bunny lover in your life while giving back at the same time! 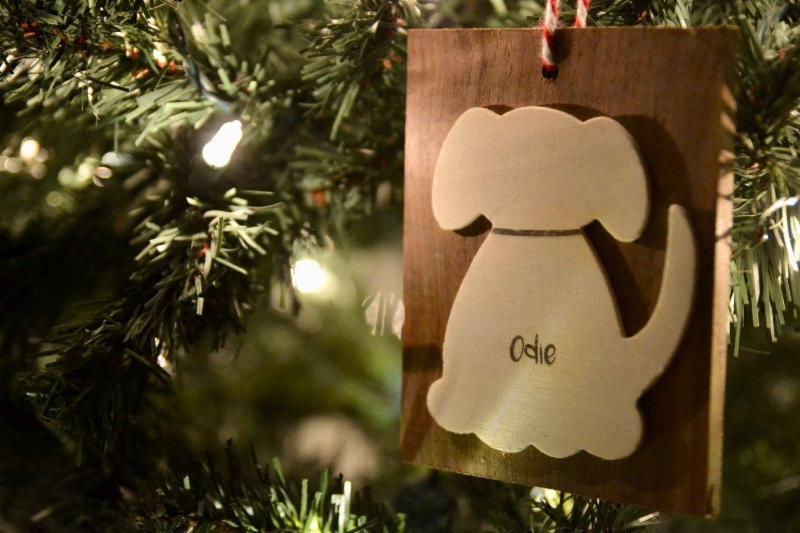 Through this Saturday, December 9th, Odie and Board will be donating $6.00 for every ornament sold. Make sure to select CA-Linda Blair Worldheart Foundation-Toluca Lake at checkout! Choose The Linda Blair WorldHeart Foundation, when doing your holiday shopping (or routine shopping),as your charity of choice through Amazon Smile! Use iGive.com to shop at over 1700 retailers. Choose LBWF as your cause and hit the iGive button at participating retailers - up to 3% of your purchase is donated to us! Need A Gift For Your Furry Friend? 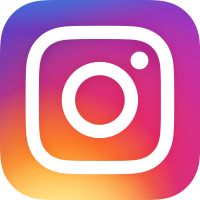 These companies offer great products & give back to LBWF! 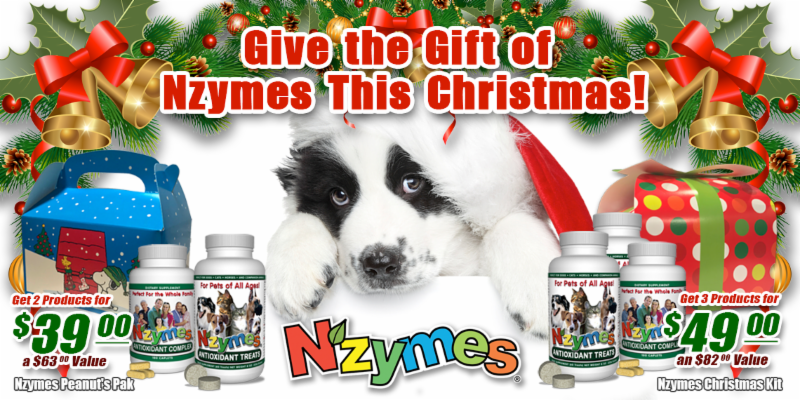 Nzymes will be donating $3.00 to the LBWF rescued dogs for every Christmas Kit and Peanuts-Pak sold. If you are looking for a perfect Holiday gift for your furry loved one, check out Chewy.com! They have a great assortment of toys, treats, collars, beds, and much more! 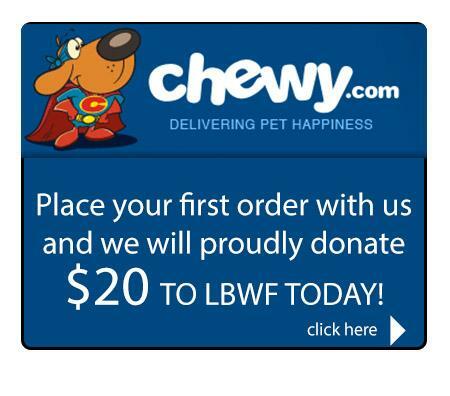 Place your first order today and Chewy will donate $20 to the LBWF rescued dogs. Click the picture to get started! 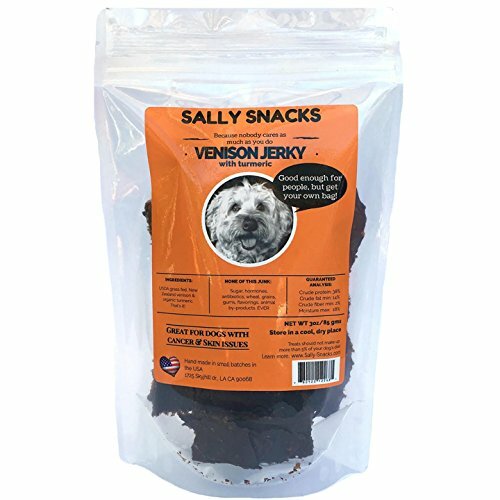 Sally Snacks is a great healthy treat for your dog. Sally Snacks are available for purchase through Amazon. Don't forget to use Amazon Smile and choose Linda Blair Worldheart Foundation as your charity of choice! Columbia Pictures, Black Label Media, Di Bonaventura Pictures and Conde Nast Entertainment presents a PG-13, 133 minute, Biography, Drama, directed by Joseph Kosinski, based on the GQ article “No Exit” by Sean Flynn and written by Ken Nolan with a theater release date of October 20, 2017. PIGEON FORGE, Tenn. (December 22, 2016) – In a little more than two weeks after the wildfires that spread across Dolly Parton’s home area of Sevier County, Tennessee, Parton and the Dollywood Foundation launched the distribution of assistance from the My People Fund. During the four day cash distribution, 884 families received their initial support payments. More than 1,300 families have been displaced due to the wildfires which spread across Parton’s home area of Sevier County, Tennessee in late November. The entertainment icon established the Dollywood Foundation My People Fund to provide $1,000 each month for six months to every family who lost their primary residence. 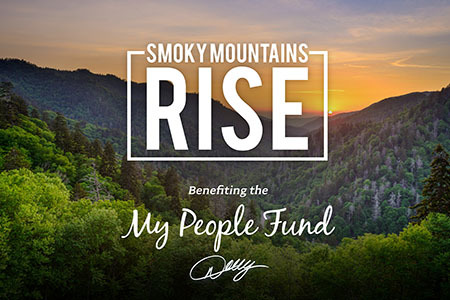 Smoky Mountains Rise was a three-hour telethon broadcast on Tuesday, Dec. 13 to raise money for the Dollywood Foundation’s My People Fund to benefit those affected by the Sevier County, Tennessee wildfires. 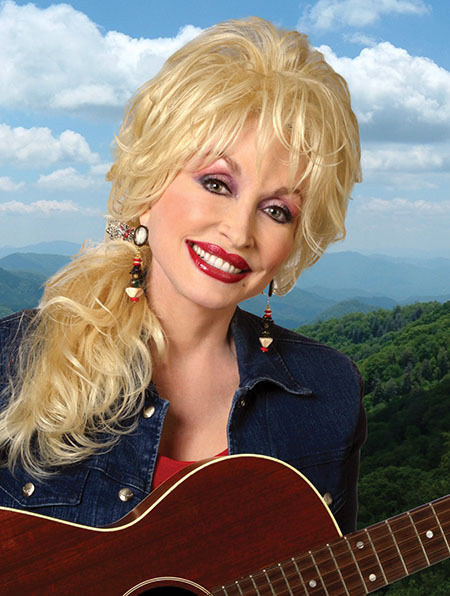 Smoky Mountains Rise was executive produced by Dolly Parton, Danny Nozell, Kirt Webster, Pete Owens and Scott Durand. Produced by Edie Hoback, Jeremy Westby, Shanna Strassberg, Suzzane Skinner, Nic Dugger and Shantel Klinger. PIGEON FORGE, Tenn. (December 8, 2016) – Several famous names have been added to the growing list of celebrities set to perform during Smoky Mountains Rise: A Benefit for the My People Fund on Tuesday, Dec. 13 at 8 p.m. (EST). Chris Stapleton, Chris Young, Big & Rich, Michael W. Smith, Amy Grant, LOCASH, Chris Janson and Montgomery Gentry are just a few of the new names added to perform during the event, which also has added three new broadcast partners, AXS TV, RFD and The Heartland Network. In addition, USAToday.com and USA Today National Networks to live stream the telethon on their affiliate newspaper websites, including all Tennessee newspaper sites Tennessean.com, Knoxnews.com, commercialappeal.com, jacksonsun.com, theleafchronicle.com, dnj.com, and others. The nationally-broadcast, three-hour telethon seeks to raise money for the Dollywood Foundation My People Fund, established by Parton, The Dollywood Company and Parton’s dinner theaters in the wake of last week’s wildfires in the entertainment icon’s home area of Sevier County, Tennessee. Smoky Mountains Rise also will be simulcast across multiple radio chains, including iHeart Media's digital and select on-air platforms, Cumulus Media's NASH Nights LIVE, TuneIn's Country Roads channel, and several other platforms which are set to be announced shortly. All of the artists are donating their performances to help the effort. DOLLY PARTON ANNOUNCEMENT VIDEO DOWNLOAD LINK. 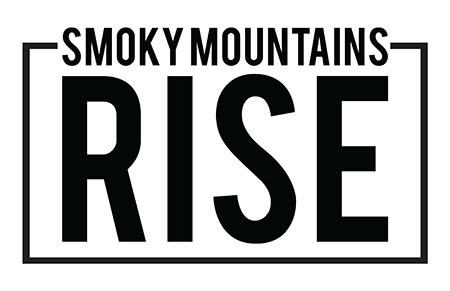 Smoky Mountains Rise is a three-hour telethon broadcast on Tuesday, Dec. 13 to raise money for the Dollywood Foundation’s My People Fund to benefit those affected by the Sevier County, Tennessee wildfires. Smoky Mountains Rise is executive produced by Dolly Parton, Danny Nozell, Kirt Webster, Pete Owens and Scott Durand. Produced by Edie Hoback, Jeremy Westby, Shanna Strassberg, Nic Dugger and Shantel Klinger. Colorado’s Black Forest fires have died down, but pets in the region are still suffering. LoveAnimals.org, the crowdfunding site linking animal charities with online donors, has offered to help all local groups struggling to care for animals affected by the wildfires - some of these needs include veterinary care, temporary shelters, and of course food. LoveAnimals.org would like to spread the word that these nonhuman victims, and their human caregivers, are still suffering from the devastation. 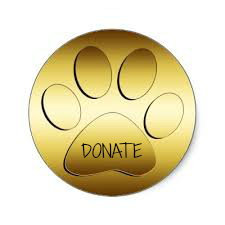 They would also like to use their national reach and donor base to assist other local rescues that are providing care and services to animals. BFAS helped rescue hundreds of animals in fire-affected areas by evacuating, treating, sheltering, and reuniting pets with their families. Animals in their care are suffering from burns and other injuries, and all are stressed from multiple evacuations. They are still looking for financial support so they can care for these animals. Harley's Hope provides services and assistance to seniors and low-income pet parents who are unable to afford veterinary care or who need to place their pet in foster care temporarily. The dog run at their facility was destroyed in the fire and they are raising funds to rebuild it. PetAid Disaster Services deployed members of Colorado's Veterinary Medical Reserve Corps to assist with large and small animal care during the fires, including evacuation and emergency sheltering. They estimate at least 2,000 animals were housed in emergency animal shelters or with private individuals in El Paso, Elbert and Douglas counties. This is an ongoing need. This horse sanctuary in Black Forest was severely affected by the fires, and although all the animals are safe, they are still raising money for the horses that were displaced and in temporary shelters. With the help of LoveAnimals.org and donors across the country, this local group raised $1000 to help care for pets of people impacted by the fires. (ANNAPOLIS, Maryland) July 13, 2012—Sunday is National Pet Fire Safety Day and to mark it, CATalyst Council, a national initiative comprised of animal health and welfare organizations working on behalf of cats, urges cat owners to have a plan in place to protect their cat in case of a house fire. The American Red Cross reports that house fires are the most common disaster, and the American Fire Administration estimates that 500,000 pets are affected by a house fire each year. The first step in protecting your cat from a house fire is to ensure that it doesn’t cause one—especially while you are out of the house. One common source of house fires is overturned candles. If you use candles, switch to flameless candles so that, if your cat inadvertently knocks one over, it doesn’t start a fire. Another common source of house fires is stove burners. Ensure that the area around your stove is clear of materials that could be knocked over onto a hot burner, and never leave a hot burner-even one that is cooling after you’ve finished cooking-unattended. The next step in protecting your cat is to ensure that it is always has some form of identification. In a fire, your cat will be frightened and, if possible, it will find a way to get out. To help en sure that you can be reunited with your cat in an emergency, your cat should always wear a cat collar with tags, and you should consider permanent identification such as a microchip or tattoo. With proper, up to date identification, your cat is more likely to be reunited with you. Having a decal on or near your front door with the number and type of pets in the household noted along with an "In Case of Emergency" contact may save your pet's life. Finally, make sure your cat is a part of your evacuation plan. Keeping its carrier out and open all the time will help in case of an emergency for two reasons. The first is that your cat will be more accustomed to its carrier if it is out and open. Just as importantly, you will know exactly where the carrier is if you need to find it quickly. Before any emergency, have a list of pet friendly hotels in the area or speak with family and friends about the possibility of providing temporary shelter to your cat(s). Taking the time to put in place a comprehensive evacuation plan prior to an emergency will help to ensure you and your cat remain safe and together.